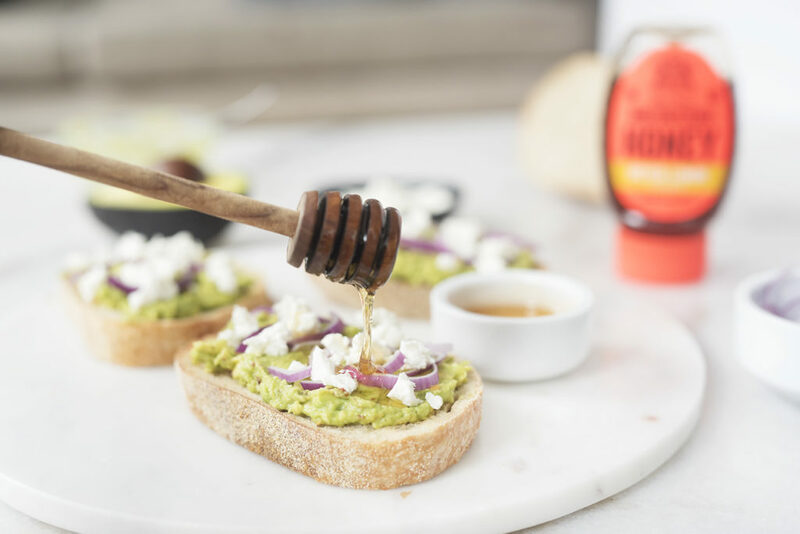 The first thing you’re probably thinking is honey has no business mixing with my avocado toast. That’s where I will change your mind, forever. Second thing you might be thinking is what is raw honey? A couple of weeks ago in the ceramics studio one of the potters started talking about honey. Somehow we ended up all having a conversation nearly an hour long on the different types of honey, where they come from, etc. One potter even mentioned that when you buy generic honey in the supermarket, if it says it is from Brazil there is a high chance it’s actually diluted product from China. Apparently, Brazil is known to import honey from China then ship it to the US. I don’t know how true that is but the uncertainty of it makes me happy that I stick to trusted brands. Anyway, back to raw honey. I first started learning about raw honey when I was sick with a cold and looking for natural remedies. I read a lot about the health benefits of raw honey and wanted to give it a try myself. When I was back in NJ visiting my family we made a trip to Costco. I love stopping at Costco when I’m there because shopping in NYC can get expensive and bulking up on basics can be very helpful! When in Costco, I noticed a giant bottle of raw honey by Nature Nate’s. I was intimidated by the size thinking I would never finish that much honey in a lifetime but the price was so cheap, I could not let myself miss out on it. Since purchasing that first bottle of Nature Nate’s, Sami and I have gone through several bottles. Ever since tasting raw unfiltered honey from Nature Nate’s, I refuse to go back to the regular commercial honey I used to consume. When you come across raw honey it means the honey has not been heated or filtered. 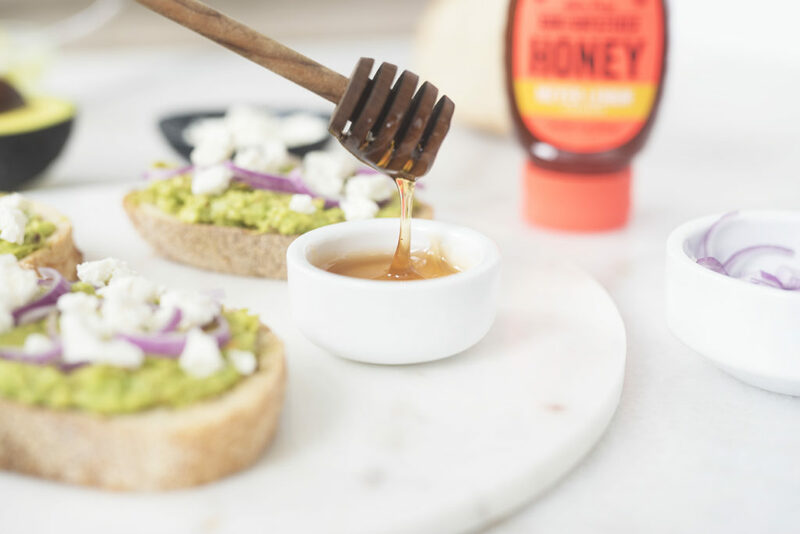 Because it is not filtered, you may notice that the jar of raw honey may seem cloudier than the traditional commercial honey you are used to. 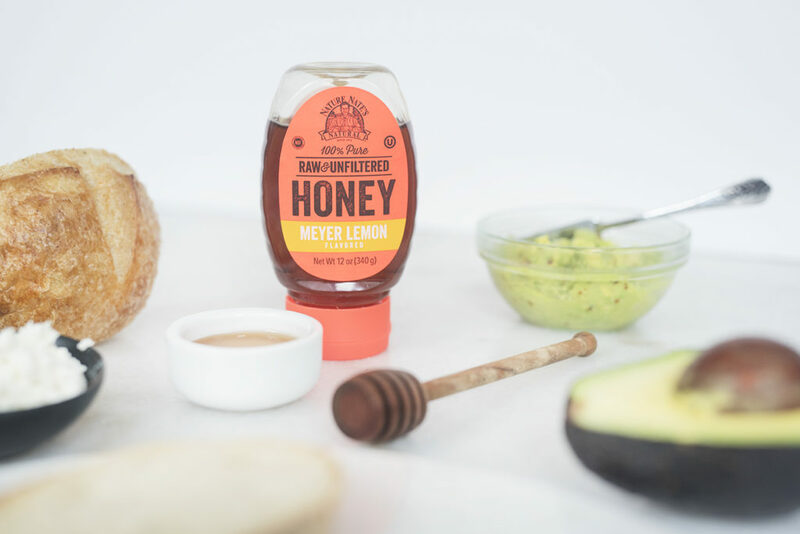 You really are getting the goods straight from the beehive to your jar! It also keeps all enzymes and nutrients intact. I personally think it has a more rich and robust flavor than plain commercial honey. Here is an article on raw honey that I thought was really helpful in understanding the differences. Nature Nate’s recently came out with two new flavors: Meyer Lemon and Vanilla Bean. I was able to try them and snag a few sample bottles at the Fancy Food Show and they are amazing. They’re only available in the smaller 12 oz. bottles right now but I’m crossing my fingers that they release the large bottles soon! When I tasted the meyer lemon flavor I knew exactly what I wanted to use it for. That brings me back to the avocado toast concern. 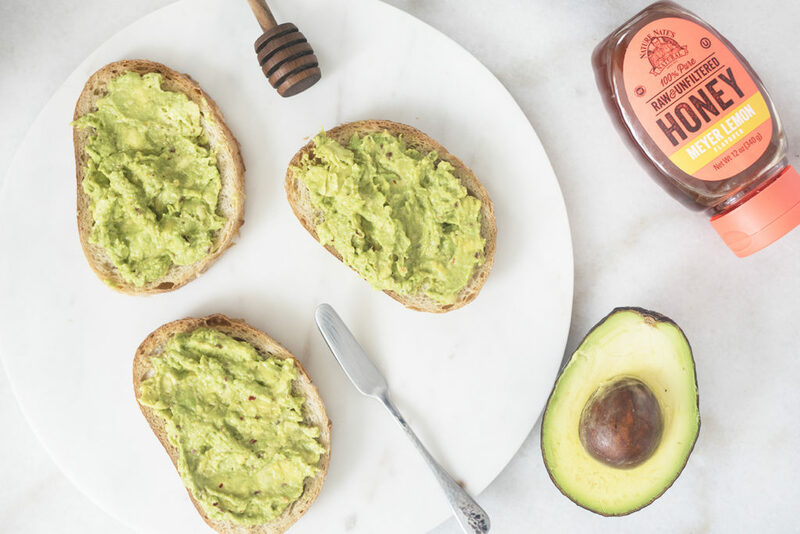 Chances are, drizzling honey on top of avocado isn’t the first thing you think of when you start mapping out your toast toppings. I never thought of it either until I met Dawn Perry from Real Simple. I was at an event where she was doing a demo of her favorite avocado toast when I saw her grab a bottle of none other than Nature Nate’s and squeeze it on top. I was skeptical but when I took my first bite, I was floored. 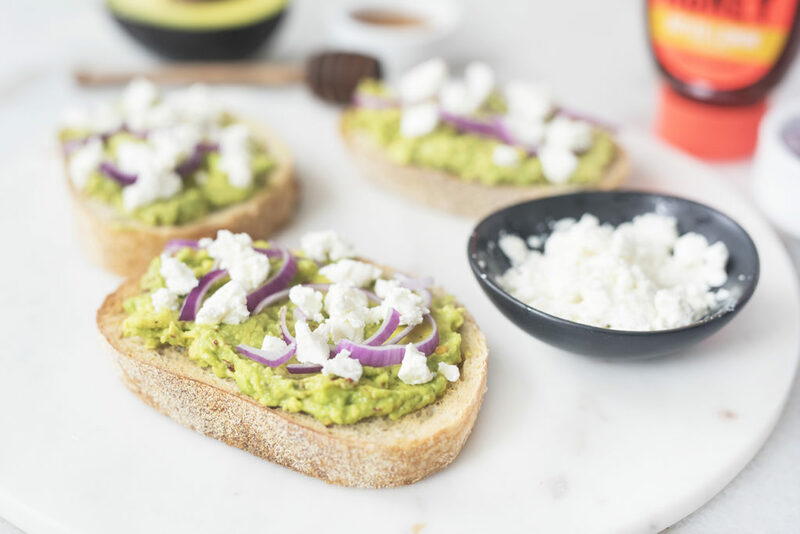 Something so simple changed the avocado toast game for me forever. It gave the toast a littttttle bit of sweetness without overpowering it. I now use it on my toast every morning. 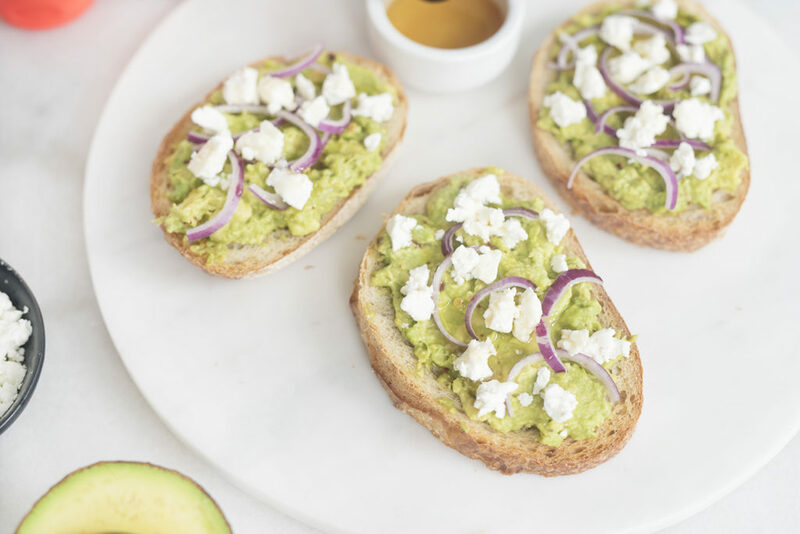 A lot of people will squeeze a lemon or lime on their avo toast for a slight citrus zing. That’s why I like the meyer lemon flavor for my avocado toast. 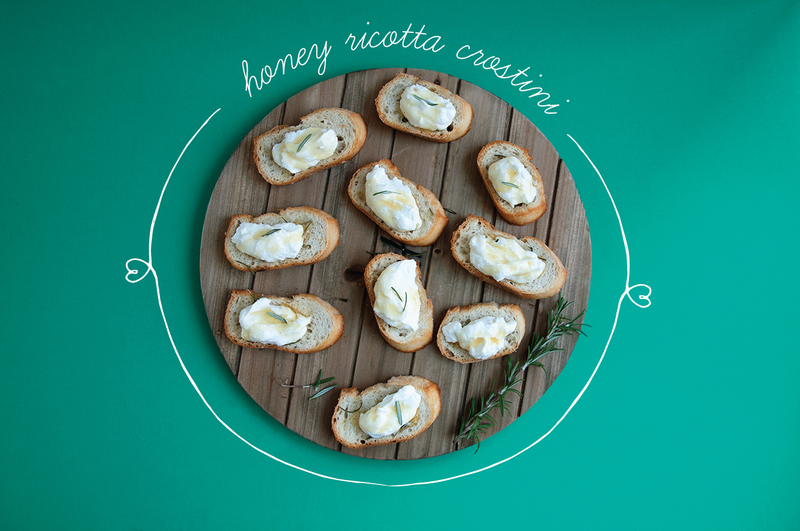 I get sweetness from the honey and the slightest hint of citrus from the meyer lemon. Below is the avocado toast I usually make for breakfast. When you’re measuring out the ingredients you don’t need to be super strict with what I have listed. Use it as a guide. If you don’t love red onion, leave it out or if you’re a huge goat cheese fan then load it up! 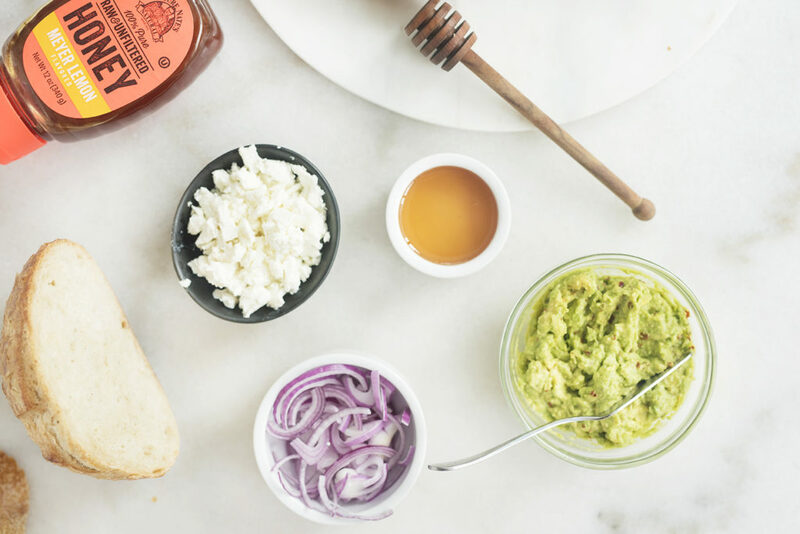 Add as much or as little of each ingredient as you like. Also, I scaled the recipe so that it uses up a full 6 inch boule. If you are just making this for yourself, you may want to scale back on the ingredients to 1/2 or 1/4 (depending how hungry you are)! Slice the boule or bread into 6 even slices and pop the slices into a toaster oven. Toast them until desired doneness. I usually toast them for 2-3 minutes or until the edges just start to turn golden. 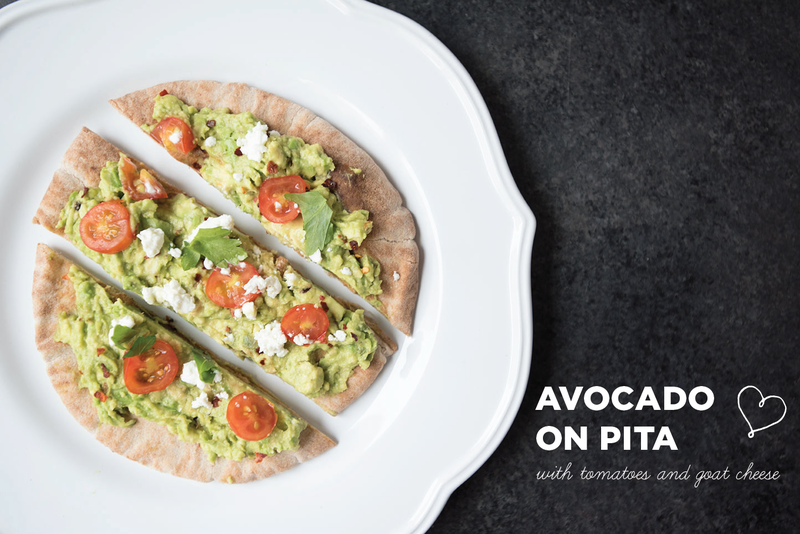 While the bread is toasting, slice the avocados in half. Remove the seeds. Scoop avocados into a small bowl. Season with crushed red pepper, salt, and black pepper. Mash with a fork until you have a chunky consistency. Place the toasts on a serving plate. 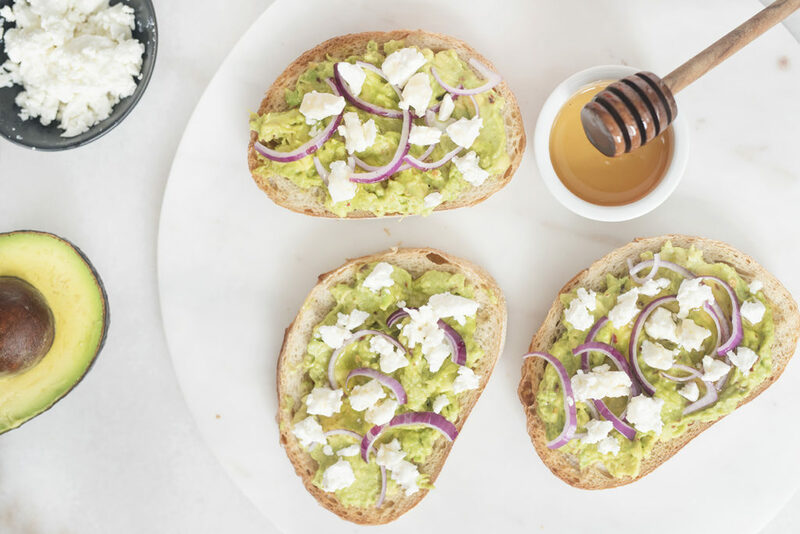 Divide avocado evenly amongst toasts and spread with a small knife. Top with raw red onion, goat cheese, and a drizzle of raw meyer lemon honey.